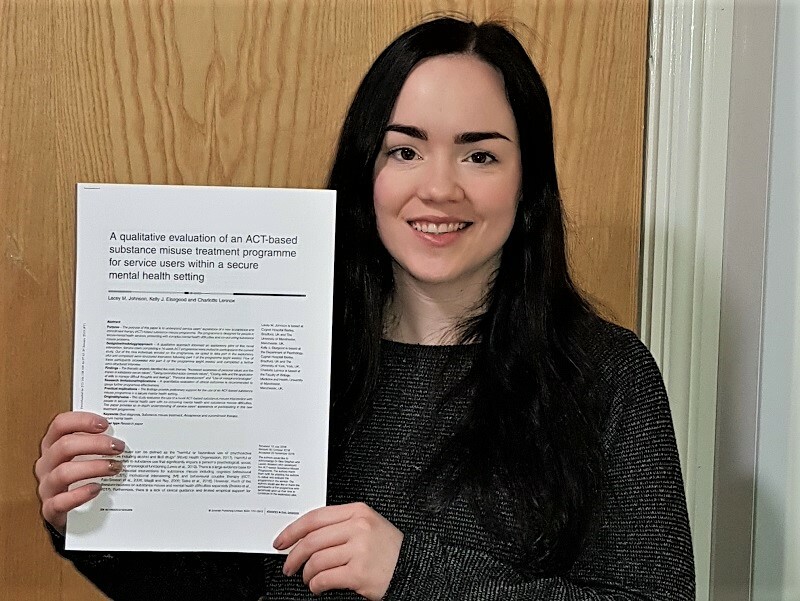 Lacey Johnson (Assistant Psychologist) and Dr Kelly Elsegood (Consultant Clinical Psychologist) authored a manuscript detailing the outcomes of an innovative intervention launched at Cygnet Hospital Bierley in 2017. The intervention is an Acceptance and Commitment Therapy based substance misuse programme. It is a Cygnet ‘home-grown’ intervention, developed by former Psychology colleagues, Lauren Absalom and Elise Stephen, from Cygnet Hospital Stevenage. In summary, the programme was found to be beneficial for increasing service users’ awareness of personal values, understanding the impact of substance misuse on oneself and others, and taking steps to change substance use behaviour. Service users also reported learning alternative skills to manage difficult thoughts and feelings associated with their substance use. Service users also reported personal growth and increased self-confidence having participated in the programme. This is the second article by the team at Cygnet Hospital Bierley to be recently published in Advances in Dual Diagnosis. Well done to Lacey, Kelly and the rest of the team at Cygnet Hospital Bierley.